Altar is an alternative handmade fashion boutique located on historic Hawthorne Boulevard, in Portland, Oregon. Established by Amy Fox and Cassie Ridgway, Altar is dedicated to beautiful clothing and accessories that are inspired by the natural world and the spirit of the Northwest. The shop curates an edgy, dark bohemian aesthetic and celebrates a new generation of american artistry and manufacturing. Altar is a destination for gorgeous jewelry and incredible handmade clothing. We believe in the power and value of quality handmade goods and Altar is our place to share these keepsake pieces with you. Homebody Boutique is the shopping destination for those who are in search of creative and unique items for the home and body. 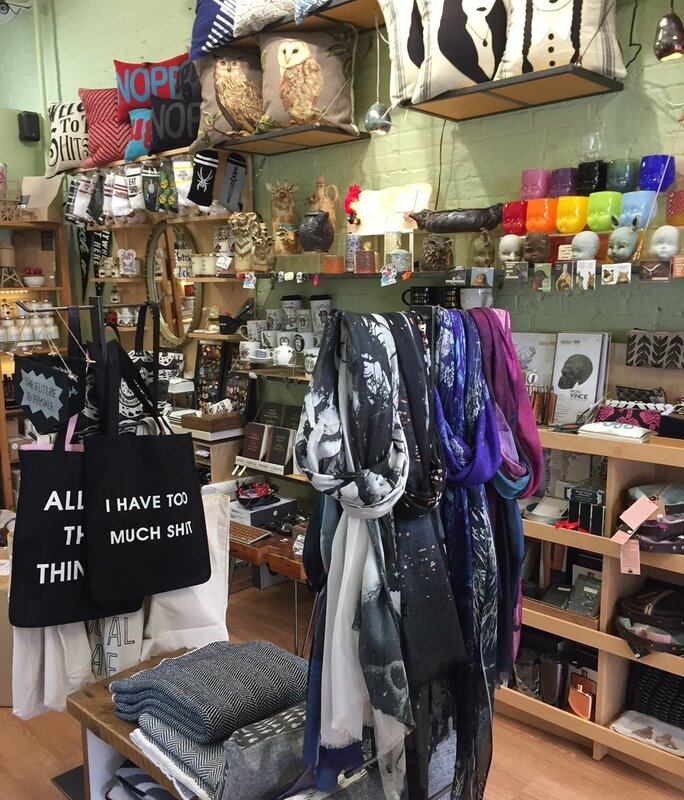 Located in Park Slope, Brooklyn, they offer a variety of independent designer and artist made home wares, jewelry, gifts and accessories that are not found in other local establishments. Many of their items are completely handcrafted, ensuring that each piece is truly one-of-a-kind, with special attention paid to quality and detail. Shop OMNIA jewelry and other unique gifts at Homebody Boutique in Brooklyn!